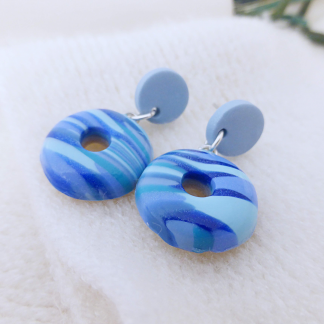 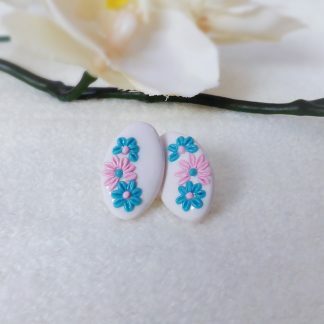 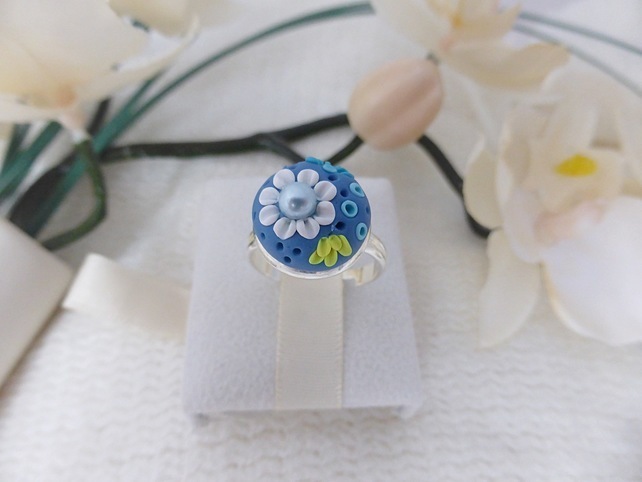 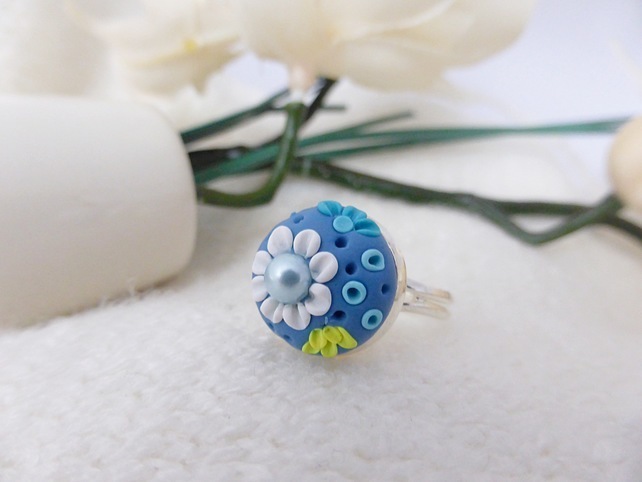 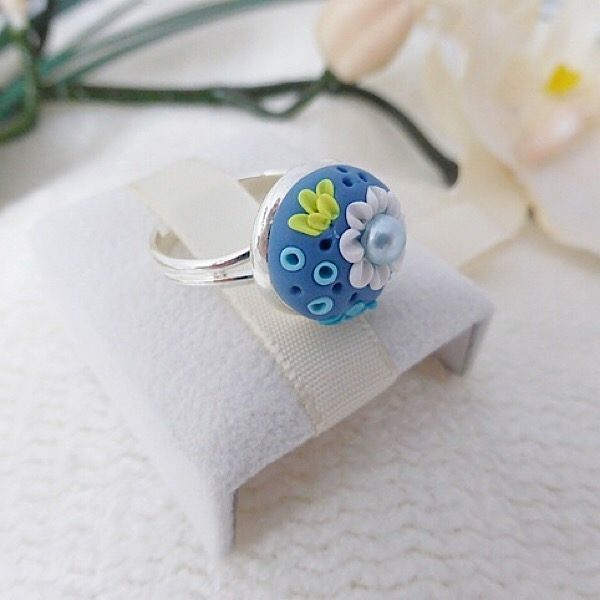 A pretty blue adjustable ring with flower design, delicately handcrafted from Polymer Clay. 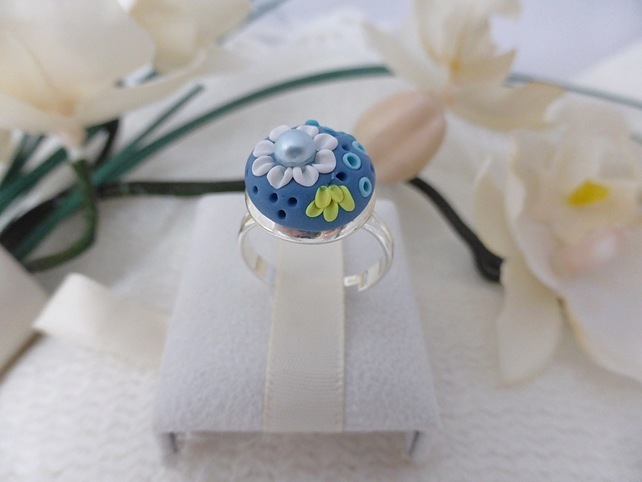 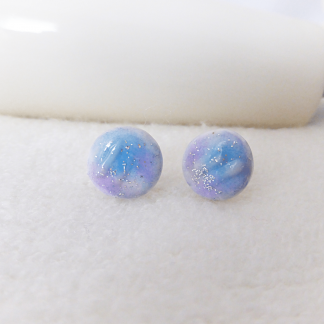 Featuring a high quality Preciosa glass pearl. 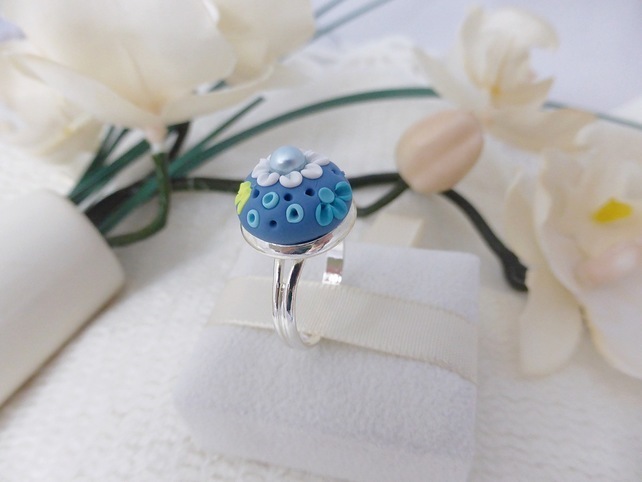 The ring base is silver plated. 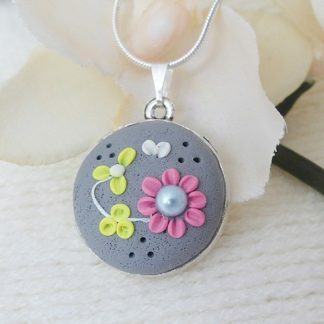 Please keep out of reach of young children & pets due to small parts which could pose a choking hazard!